On the northeastern edge of Virginia Commonwealth University’s downtown Richmond campus stands a gleaming, seemingly impossibly angular, zinc- and glass-fronted building that is itself as much a piece of art as the works contained within it. A mélange of socially conscious works, the show ranged from abstractions and aural installations to Paul Rucker’s “Storm in the Time of Shelter,” a veritable army of 52 menacing mannequins bedecked in outré Ku Klux Klan robes stitched in a variety of gaudy fabrics from camouflage to plaid. The message may prove to be prophetic. 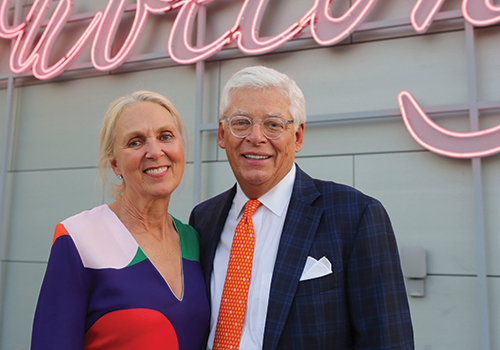 “I’m convinced that there will be people who will fly into Richmond [to see the ICA] who would have never come to Richmond … because this is one of those spots that lights up on their world map now,” says VCU President Michael Rao. VCU raised $37 million toward the construction of the Institute for Contemporary Arts. The institute “adds to the reputation that Richmond, Va., and the region is a forward-looking, progressive business community,” says Richmond philanthropist William A. Royall Jr., who donated $5 million to VCU for the project with his wife, Pam. There’s a thriving arts community here. It’s very intelligent. 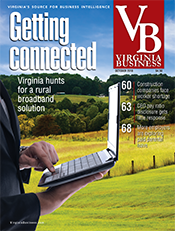 It’s an exciting time to be in Richmond." The arts are a big business, generating tourism and tax dollars and driving serious philanthropic largesse. Arts and cultural organizations spark more than $360 million a year in economic activity in the Greater Richmond region, supporting more than 10,700 full-time-equivalent jobs, according to the Washington, D.C.-based nonprofit Americans for the Arts. More than $210 million of that amount is generated by the spending of nonprofit arts and cultural organizations in the region. Statewide, the story is much the same. 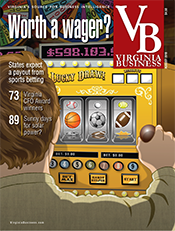 In Virginia Beach, the arts account for $87.7 million in economic activity and employ nearly 3,000 workers. Nonprofit arts and cultural groups generate more than $270 million a year in Fairfax County, supporting more than 6,200 full-time-equivalent jobs. Nationally, arts and cultural economic activity accounted for 4.2 percent of gross domestic product, or about $763.6 billion, and employed more than 5 million Americans in 2015, the most recent year studied, according to the U.S. Department of Commerce’s Bureau of Economic Analysis. 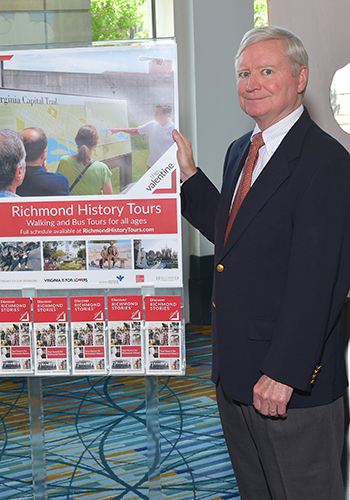 Richmond is enjoying a renaissance as an in-demand city for tourists, and much of that reputation was built on the arts, says Jack Berry, president and CEO of Richmond Region Tourism. 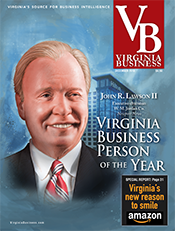 Virginia’s capital city has long had a reputation as a cultural center. Virginia Commonwealth University’s School of the Arts is the top-ranked public university art school in the nation, according to U.S. News & World Report. And the Virginia Museum of Fine Arts (VMFA) has long been a stellar example of a public art museum. In subsequent years, Richmond has been lauded as a top destination by Frommer’s, Travel & Leisure, Lonely Planet, TripAdvisor and many others. The Picasso exhibit, which cost a reported $5 million and relied on corporate, individual and foundation donations, attracted more than 250,000 visitors and generated almost $30 million, including related spending on dining, lodging and retail. 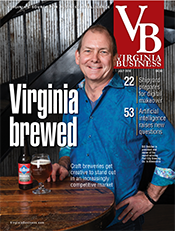 During the past decade the city also has morphed into a dining and breweries powerhouse, with 900 independent, non-chain restaurants and more than 30 craft breweries. It used to be that Wednesday nights in Richmond were the highest occupancy night for hotels due to business travel. Now, on Saturday nights “you cannot find a hotel room in Richmond. And we have 18,000 rooms,” says Berry. 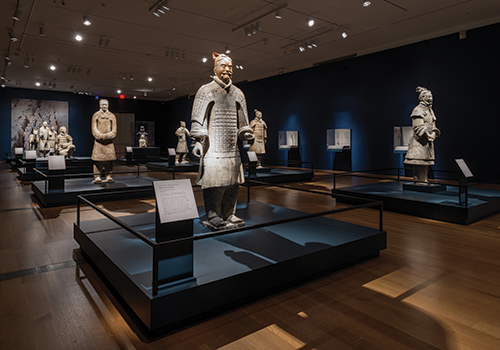 “Terracotta Army,” the VMFA’s recent traveling exhibit of archaeological treasures from the reign of the first emperor of China, drew more than 204,000 visitors and brought in about $3 million in ticket sales and museum gift shop purchases alone, along with $500,000 in new memberships. The VMFA expects to draw a “huge crowd from throughout the mid-Atlantic and beyond,” Nyerges says, when it premieres an upcoming exhibit on the works of “Nighthawks” painter Edward Hopper. Perhaps in anticipation of those future crowds, the museum also is renovating and expanding the 19th-century Robinson House on its grounds into a regional tourism center and offices. According to the nonprofit group Virginians for the Arts, arts patrons in Virginia spend 34 cents more per dollar on arts-related tourism expenses than average tourists. Ed Harvey is president of the group, which lobbies the legislature on behalf of the 680 arts, education and cultural organizations that receive financial support from the taxpayer-funded Virginia Commission for the Arts. The economic impact of a thriving destination arts venue on a small city can be seen in Staunton. There the American Shakespeare Center sells 65,000 tickets per year to its performances of the Bard of Avon’s works at its Blackfriars Playhouse, a re-creation of a 16th-century indoor theater in London. 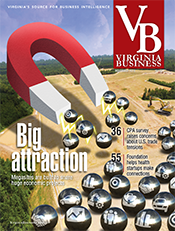 Annual tourism expenditures in the picturesque Shenandoah Valley city have risen by 91 percent, or about $24.6 million since the $3.7 million Blackfriars Playhouse was erected in 2001. Before the theater located there, Staunton was primarily known as the home of Mary Baldwin University and the birthplace of U.S. President Woodrow Wilson. The center was one of the things that attracted the Heifetz International Music Institute to Stuanton in 2012. Benjamin K. Roe, the institutue's president and CEO, says, "We considered several locations around the country, but ultimately chose Staunton ..." Besides the theatre, he noted that both both Mary Baldwin and the city of Staunton "are pro-active in their understanding and promoting the economic benefit of a strong arts, cultural and foodie scene." In 2011, Baltimore magazine praised the city as a “foodie paradise.” Visiting theater patrons are just steps away from Zynodoa, a popular farm-to-table restaurant. They can also stop in for dinner at The Shack restaurant, which Esquire magazine raved about as “incredible.” It’s run by chef Ian Boden, twice nominated as a semi-finalist for the prestigious James Beard award for Best Mid-Atlantic Chef. Theatergoers also often stay overnight at the Stonewall Jackson Hotel or one of the city’s many bed and breakfasts. The theater received fundraising support from Staunton-area residents when it was getting off the ground, Wratchford says, but these days its donations largely come from outside the community. For fiscal year 2015 donations made up nearly $600,000 of the center’s $3.4 million annual revenue, with ticket sales and other program-related revenues accounting for more than $2.7 million. While it’s good that the playhouse can be self-sustaining, she says that it does need to do a better job of reminding local residents of the important role the theater has played as an economic and tourism driver in revitalizing Staunton. 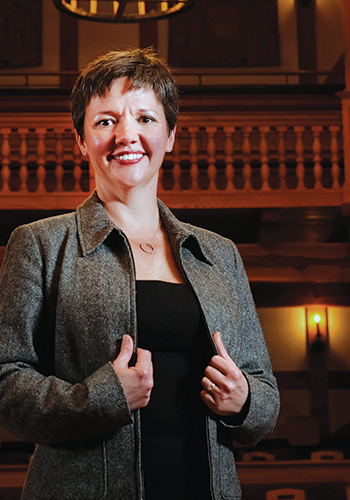 “One of the conversations that’s happening a lot in the nonprofit theater industry is the fact that we need to get better at telling that story of what kind of economic impact we have,” Wratchford says. One hundred and forty miles northeast from Staunton in Fairfax County, Wolf Trap National Park for the Performing Arts attracts more than 400,000 patrons per year to see everything from rock bands to ballet and musical theater, mostly held amid the stunning natural setting of its open-air, fir-and-pine Filene Center amphitheater. Wolf Trap has an annual economic impact of about $80 million in Fairfax County, including tax revenue and ancillary activities such as dining and lodging. “That translates to just under a thousand full-time equivalent jobs generated by the activity of Wolf Trap,” says Arvind Manocha, the president and CEO of the Wolf Trap Foundation for the Performing Arts. Wolf Trap Foundation employs about 80 full-time workers plus a fluctuating number of seasonal employees during its summer concert seasons. In 2015, charitable contributions made up $10.8 million of its $33.7 million annual budget, with $19.3 million coming from ticket sales and related income. 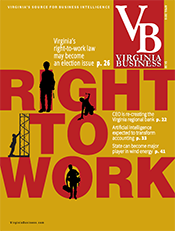 While Wolf Trap’s direct and indirect economic impact on Northern Virginia is significant, employers in the region also find it valuable because of the role it plays in helping to attract a well-educated workforce. Wolf Trap provides educational outreach programs that engage children in learning activities via the performing arts. The foundation’s corporate contributors include The Boeing Co. and Northrop Grumman Corp.
Another driver of corporate philanthropy to Wolf Trap, he says, is the business community’s recognition that Wolf Trap is an excellent amenity that can be used when selling the region to prospective employees. 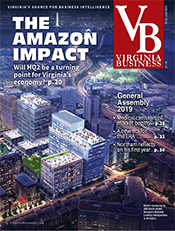 “When I talk to business leaders who are moving their companies out to Tysons, who are thinking about their workforce … they are very conscientious about what are going to be the levers that they can pull to make this [region] an attractive proposition,” says Manocha. 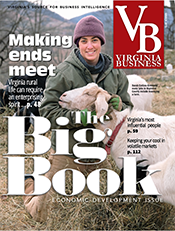 Rao, Virginia Commonwealth University’s president, agrees that the arts enjoy strong corporate support because of the way that artistic entities can enhance a region’s quality of life. 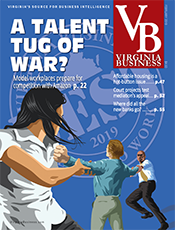 It’s valuable for attracting in-demand millennials to the area workforce, as well as luring new students, faculty and researchers to VCU, he says. 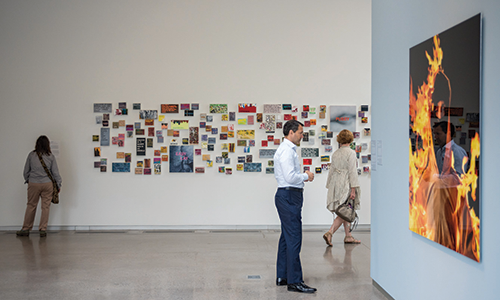 Rao thinks that the ICA’s unique niche as a haven for cutting-edge new artists will significantly increase philanthropic giving for the arts at VCU. 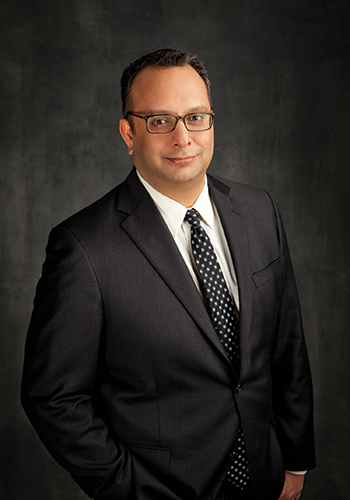 “I think people are going to want to make large investments in this because they recognize the difference that it will make not just at VCU … but certainly Richmond and, I think, the commonwealth,” Rao says. 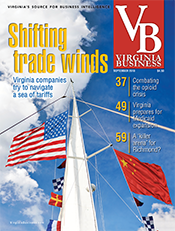 Nyerges at the Virginia Museum of Fine Arts, points out that corporate financial underwriting for local arts is a sound investment in building the amenities desired by the workforces of Richmond’s Fortune 500 companies. Producing and presenting special exhibitions such as Terracotta Army is expensive and can only be accomplished through corporate, individual and foundation support. 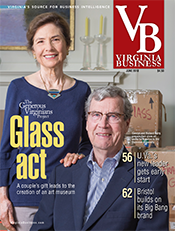 Major corporate contributors to the Virginia Museum of Fine Arts include Altria Group, Dominion Energy and WestRock Foundation.